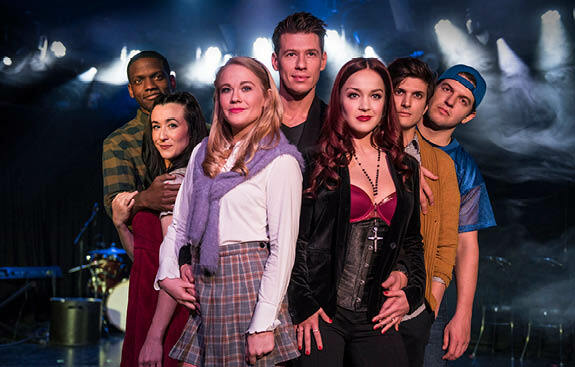 Lisa Condit spoke with Eva Price, the lead producer for Cruel Intentions: The 90s Musical, which comes to Worcester for one night only on Saturday, May 4. Listen to the full WCRN interview below or read on for highlights. Don’t forget to tune in to 830AM Saturdays at 1 pm for more behind-the-scenes interviews. Lisa: I’m excited because I’m a ’90s girl. I remember the movie. Eva: It’s a love letter to the film. The creators of Cruel Intentions: The 90s Musical include the original director and writer of the film. Just for fun, without rights or permission, they threw it up at a bar in LA in 2015 because they had a vision that it could play like a musical. The movie soundtrack was always popular. The musical caught like fire, and people said, “You have to keep doing this.” They got the permissions, and a mutual friend told me about it. I can’t let a good idea go by the wayside. It was around the time of the 2016 election, and you had people looking for escapism and fun. I decided to put it up in a bar in NYC to see if it wold catch fire again, and it did. That lead to our six-month, thrice-extended off-off-Broadway run, and now to our national tour. Lisa: What was the magic formula? Eva: I think the simplicity of it. Not to alter the screenplay. Couple that magic with the songs from the ’90s that actually speak to moments in the film. It’s a mash-up between staying true to the screenplay, but also using what’s so brilliant about musical theater, which is having great songs further plot and emotion. Lisa: A fresh new take on ’90s music that we’re so familiar with. To see a show come and bring some of our favorite movies alive seems like a home run to me. Eva: There is a really magical moment in the show that we call “Catherine’s turn.” It’s a bit of a play on “Rose’s Turn” from Gypsy. It’s where the protagonist has a revelation, an emotional revelation, about who they are, their wants and their place in the story. In Cruel Intentions, it’s where the female protagonist is unraveling and makes a really strong choice that puts the story in a whole other direction. We’ve created a medley of powerhouse, power ballads, female-centric songs that do that. It is the perfect combination of what you love in pop and what you love in musicals. Lisa: Our audiences are going to love it! Eva: I grew up in Westford, and my father is a graduate of Worcester Polytechnic Institute. I have cousins in Worcester, so to bring a show back feels great. Lisa: Wait until you see what has happened to Worcester!